See everything clearly at all distances with Proclear Multifocal contact lenses for presbyopia. You can rely on exceptional comfort, hygiene and quality with these monthly contact lenses, which work to ensure smooth and flawless transitioning between visual distances. 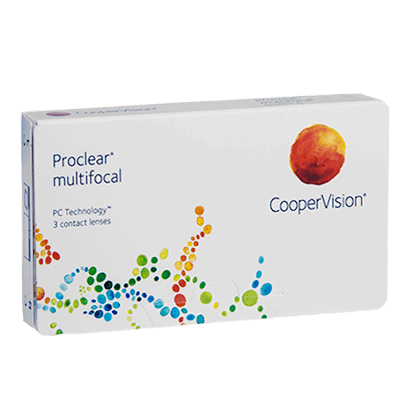 Created by CooperVision, each of these impressive multifocal contact lenses contains multiple prescriptions, allowing the wearer to see objects clearly, whether they’re up close or far away. Eyes are able to select the prescription power they need to receive a clear and crisp image of the object. 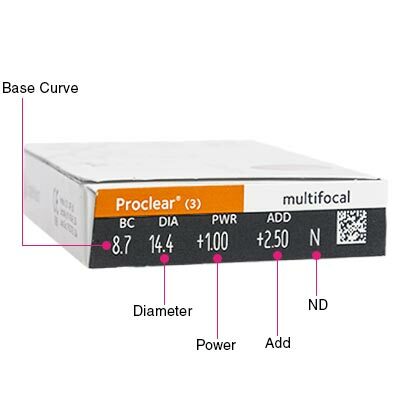 You can enjoy freedom from bifocal glasses when you correct your presbyopia with Proclear Multifocal contacts. Exclusive PC Technology has been implemented within the design, creating a lens that maintains up to 96% of its water after 12 hours of wear. As a result, the lenses keep your eyes hydrated from morning till night. Perfect for long days in the office or at the computer, these multifocal contact lenses effectively prevent the onset of dry eyes and fatigue as the day goes on. As monthly contact lenses, you can wear Proclear Multifocal contact lenses every day for up to 30 days, provided you remove them each night and follow a simple cleaning regime. By using a multi-purpose contact lens solution such as comfi All-in-One Solution for cleaning and storing your contact lenses overnight, you can enjoy clean, fresh and comfortable lenses when you go to put them in the next morning. 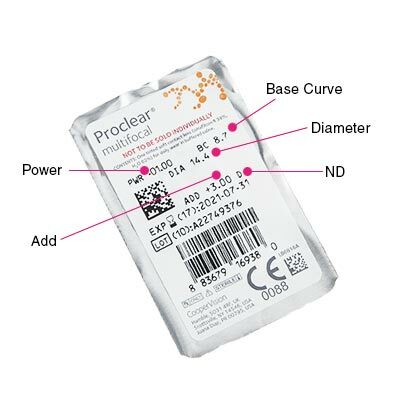 Proclear 1 Day Multifocal are similar daily disposable multifocal lenses. Biofinity Multifocal can be worn as an upgrade in terms of comfort. Great product, and very competitive price for multifocals.. ! Very happy with these lenses, and THANK YOU for the prompt delivery.